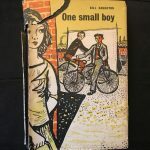 London, MacGibbon and Kee, 1957. FIRST EDITION. 8vo, pp. 319. Black buckram, with original dust jacket split to spine, along left hinge and top inner corner of left cover. 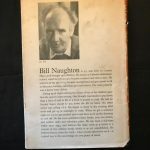 Inscribed by the author of Alfie, Bill Naughton, and dedicated to John Symonds: “To John from Bill (true good friend of the author – Bill Naughton, … 9th Oct 57)”. 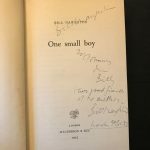 Author’s autograph on his printed name on the title-page. Good condition.